Beautiful 4 Bed, 4 Bath Family Home In Desired Pringle Creek! 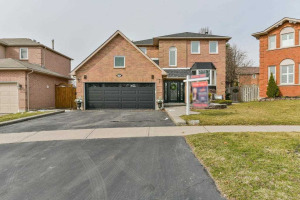 Close To Great Schools, Shopping, And 401. Upgrades Include Newer Windows, Roof, And Bathrooms. 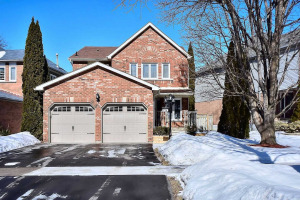 Great Layout Including A Large Family Room, Finished Basement, Hardwood On The Main, And Generous Bedroom Sizes. Walk Out To Your Oversized Backyard And Deck, Perfect For The Kids And Entertaining. 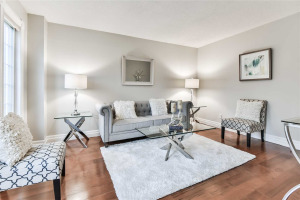 Retire To The Master Which Features A Brand New Ensuite And Walk-In Closet. Nothing To Do But Move In. Newer Windows (2016), Roof (2013), Front Door (2016), Garage Door, Master Ensuite (2017), Main Bath (2018), Electrical Panel (2018), New Laundry Room (2018), New Carpet And Bathroom In The Basement (2017). Large Yard For Boat/Rv Storage.